And we are all hoping for the next 12 years together! I can't believe I never noticed this thread until now. Oh well, better late than never! Seeing as how the 13th anniversary is right around the corner, best wishes to all and many happy returns! DITTO Happy late 12th Anniversary! Happy Belated Birthday! 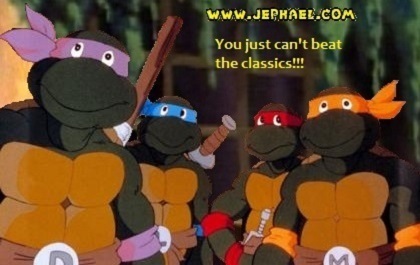 Thanks for giving us all a place to connect and share our love for the TMNT! Guys...I think Turtle Mania is back for good. Happy early 13th anniversary!!!! Lol! I cant wait for the 14th Anniversery!